Under the UNDP Territorial Approach to Climate Change (TACC) program and the leadership of the Delta State Ministry of Environment, under Permanent Secretary, Mrs. Felicia Adun, the R20 has been involved in two community-level projects. 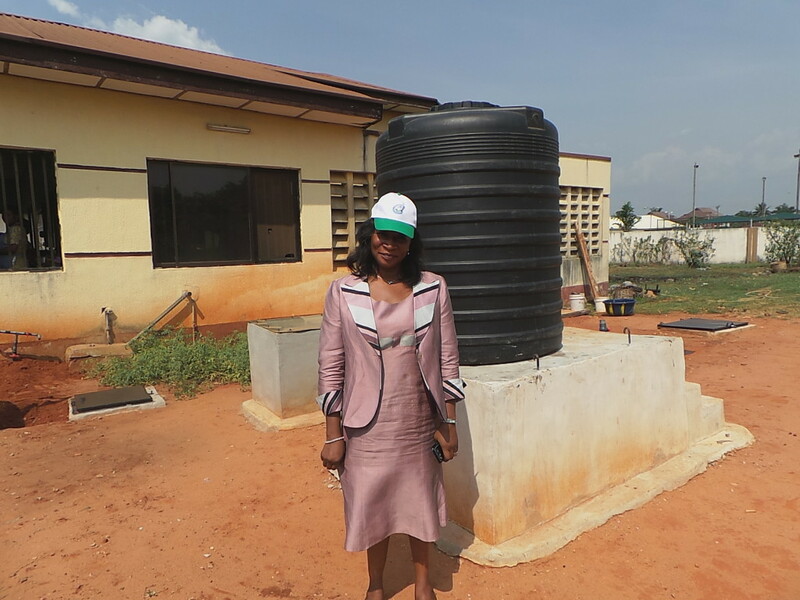 Mrs. Felica Adun, Permanent Secretary of the Delta State Ministry of Environment and Head of Climate Change Department in front of the household biogas digester project in Asaba, Delta State, Nigeria. The first project is a household biogas digester at the Delta State Government Guesthouse in Asaba. The 10 cubic meter underground anaerobic tank generates methane gas for cooking by anaerobically digesting food scraps. The project was designed and implemented by Engineer Mr. Ifeanyi Aghaulor and his company, the Biotec Development Network. Rapid advances in solar technology and increasing demand ensure that it is both efficient in terms of electricity produced, and affordable. The proliferation of solar PV manufacturers and producers is good for competition and driving prices down for both investors and consumers. Whilst investors are increasingly interested in financing energy projects in Africa, fears over unsupportive and unpredictable regulatory frameworks etc, are slowing such investments down. R20 Regions of Climate Action and its partner, Akuo Energy, teamed up to counter this problem. 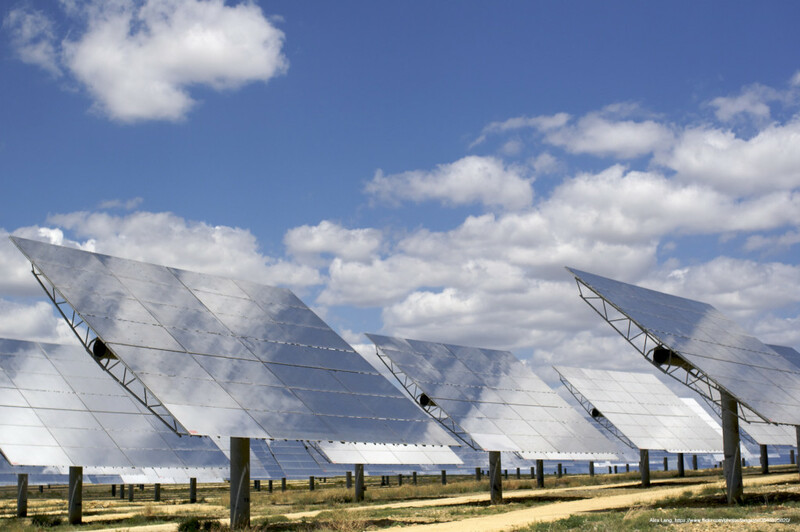 The duo signed an agreement with the Malian government last year to carry out technical studies assessing the viability of installing a 50 MW solar PV plant in Kita. The project, having since been approved by the government, is expected to be launched by year end. Funding has already been secured from several international financial institutions. Once the plant has been installed, it will provide enough electricity for the city of Kita comprising over 21,000 inhabitants, and will increase the energy supply in the entire country by 10%. Following such a successful initiative and having demonstrated that investment barriers can be broken, R20 Regions of Climate Action is launching another one, on a much larger scale, to power Central and West Africa with 1 GW of energy from renewable sources, mainly solar. There is much talk about the green economy, but what is it exactly? According to the United Nations Environment Programme, “a green economy is… low carbon, resource efficient and socially inclusive”. R20 Regions of Climate Action (R20) has been striving to help create green economies around the world since it was founded in 2010. Over the past year, R20 has been working in close collaboration with the Government of Algeria on a program to develop projects around the country that will steer it towards becoming a green economy. Such projects include waste management, energy efficiency and renewable energy. 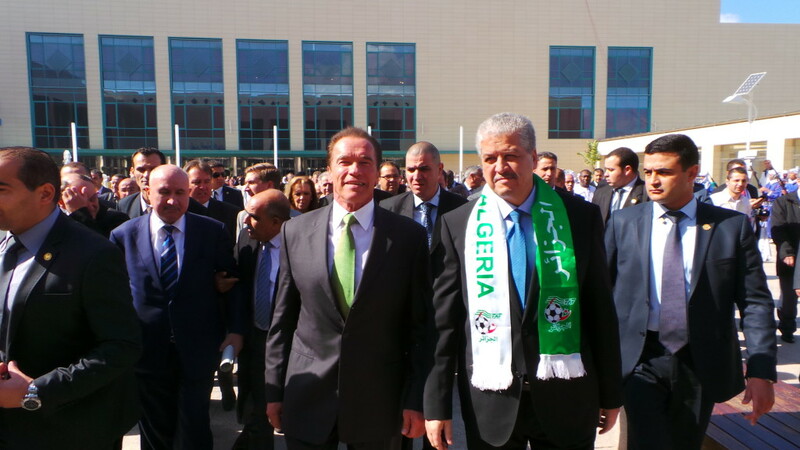 Arnold Schwarzenegger and Algerian Prime Minister, Mr. Abdelmalek Sellal, at the African High-Level Conference on the Green Economy in Oran. February 2014. R20’s holistic approach to supporting countries in the transition to a green economy is designed to foster an enabling environment for the implementation of low-carbon projects. In the Algerian case, R20 actively involved local decision makers and actors in identifying local needs and finding solutions, as well as providing training on the key thematic areas, and collaborating with clean-tech partners to source the latest and most appropriate cutting-edge technologies. Renewable energy has become a hot topic, drawing significant and increasing interest from investors who seek to add social and environmental projects to their portfolios. Rapid technological advances in the renewables sector ensure that it is both efficient and affordable. As national and local governments around the world grapple with the various opportunities and threats that climate change poses, and strive to implement sustainable development strategies towards building the green economy, renewable energy is a logical step forward. Access to energy is one of many cross-cutting issues for green growth. With a population of around 15 million, Mali is a country that presents tremendous potential for renewable energy exploitation and investment. The need for energy is prevalent, with only 14% of the population having access to electricity. This translates to millions of people lacking the means to power their homes and fulfill such basic needs as cooking without inhaling dangerous amounts of smoke from burning fuel-wood; or lighting for reading. Such conditions have deep impacts on people’s livelihoods as their health and productivity are hampered by chronic illnesses that are entirely avoidable. Sporadic access to energy can, and does, also affect the delivery of health services. Citizens of Rio de Janeiro, and several other cities across Brazil, will soon find a city lit up by the crisp white light of energy efficient, environmentally friendly, and cost-effective LED streetlights. 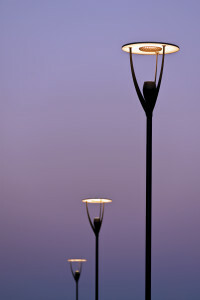 The continued use of outdated and inefficient lighting technology weighs on energy consumption levels in cities around the world, while contributing, as well, to global greenhouse gas emissions. Over the past year, the R20 Regions of Climate Action hub in Brazil has been leading a large-scale LED street lighting program covering 13 cities and 1.5 million streetlights across the country. The R20 USA hub has designed a Special Purpose Vehicle for each city to finance these projects, and has linked lenders to the cities and technology providers. The current economic situation reflects a shift towards the green economy. All the studies on this topic, in particular those of the International Labor Organization (ILO) or the European Centre for the Development of Vocational Training, reveal that this transition towards a sustainable economy cannot be achieved without a change in the skills of human resources. Estimates in France alone show that the skills required for 300 thousand new jobs and for six million job vacancies will have to be changed in order to overcome the challenges of the transition. In the United States, the ILO has identified two million new jobs and new skills for 40 million workers. The increasing demand for qualified personnel will ensure the development of the green economy.